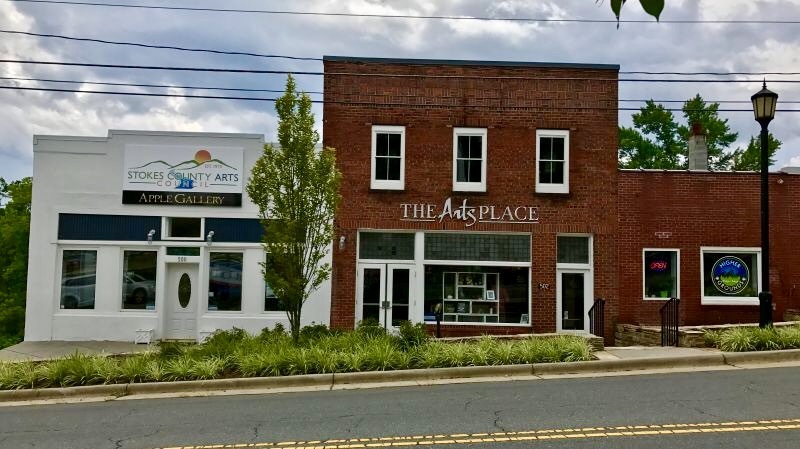 The front of the Apple Gallery, part of the Stokes County Arts Council, in Danbury, NC. January 2018. Photo by VisitNC.